Arizona was one of the more heavily hit states during the real estate bust, but the state continued to create quality jobs in the healthcare sector during the recession that followed. Arizona has a large medical industry, partially due to the high number of retirees that choose to relocate to the state for its warm weather. 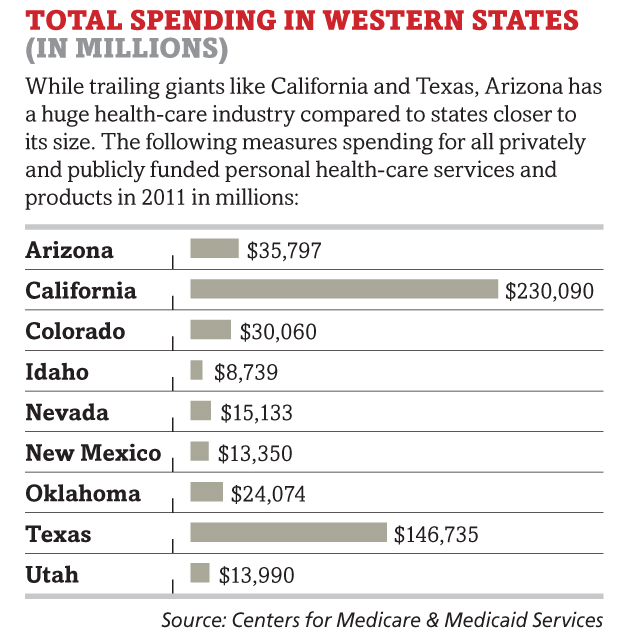 The overall healthcare industry in Arizona is valued at approximately $36 billion, which is enormous. Many states with similar populations have much smaller medical industries, but Arizona has numerous large hospital organizations and smaller specialty care centers that provide world-class care. Some of the biggest employers in Arizona are hospital groups. As the U.S. population ages, the healthcare industry will continue to grow and create jobs in Arizona. A handful of area medical industry companies were ranked on the Inc. 500 list for the fastest-growing companies during 2009-2012. Not an easy thing to achieve in an economy that was hit hard with foreclosures and bankruptcies. The companies included chiropractic care groups, medical technology developers, and other healthcare-related businesses in Scottsdale and Phoenix. If you’re seeking employment as an RN, nurse practitioner, or physician’s assistant, Desert Medical Careers can help you to capitalize on the many opportunities available in Arizona. There are currently medical jobs available in Anthem, Peoria, Tempe, Queen Creek, Phoenix, and Scottsdale. Contact dmc@desmedcar.com for more information.